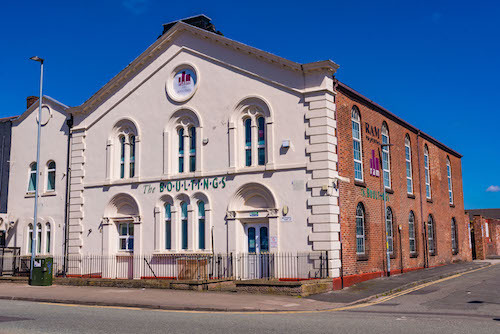 The Boultings is a Grade 2 Listed building in a conservation area of Warrington – an area undergoing massive regeneration over the first decade of the millennium. It is situated just 200 yards from Central Station. The building has 3 self-contained floors each with approximately 3,500 sq ft.
From the modern entrance on the ground floor, off the rear car park, a central service core houses stairway and lift and superb toilet facilities on each floor. Each suite of offices could be open plan or partitioned to suit particular requirements and each has its own tea room. The building is contained in its own grounds and there is ample on-site car parking.